What a great coastal village this is. What a surprise and right from the outset be sure to stay at a minimum overnight. Cardwell is just some 25k’s north of Ingham and is on the coast. Just off Hitchinbrook Island. Cardwell is the destination launch point for campers to stay on Hitchinbrook. Cardwell, not surprisingly is a north Qld coast growth centre that has continued unabated through the recent economic crises. Seaward lies the Coral Sea, Great Barrier Reef and Lagoon, Rockingham Bay and the Hitchinbrook Channel. 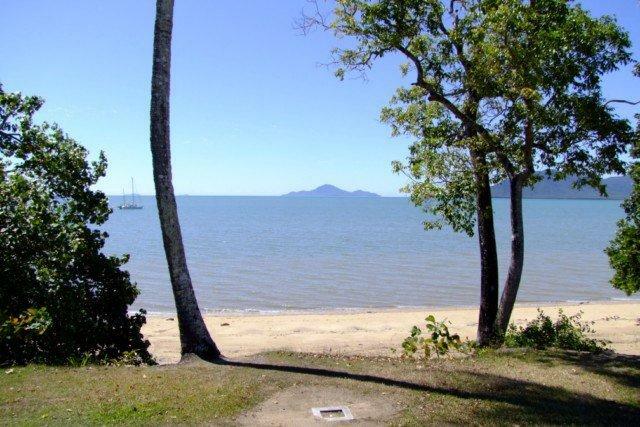 Tropical continental island National Parks are visible from Cardwell. The Coral Sea Memorial, although hidden is an important visit. Allow plenty of time to read the many plaques that is located in the grounds. Likewise the Aboriginal Museum; succinct and easy to appreciate. The Churches in Cardwell are modern. The Hotel is a well patronized surviving modern structure. The Museum is represented at the ‘Post Office’ and the Info Office. The War Memorial has great presence on the coast looking outward to sea. A surprise and very easy to enjoy.